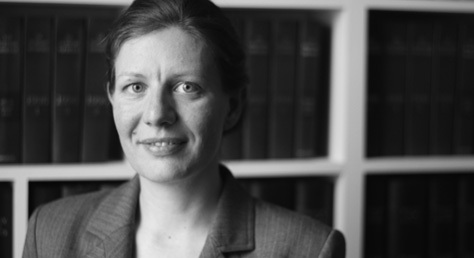 Katy Robinson, solicitor in our Public Law department, acted for the appellant in the recent Court of Appeal case of SG (by her litigation friend the Official Solicitor) v London Borough of Haringey  EWCA Civ 322. SG was a vulnerable asylum seeker with significant care needs. She had previously succeeded, in the first Judicial Review claim brought under the Care Act 2014 ( EWHC 2579), in establishing that Haringey’s assessment of her needs for care and support had been unlawful both (i) because she was not provided with an independent advocate to support her through the assessment and care planning process (s67 CA 2014) and (ii) because Haringey had failed to consider, in the process of assessing her needs, whether it should provide her with accommodation. The full High Court decision can be read here and our previous posting on this here. On behalf of SG, Katy appealed the High Court’s additional findings that Haringey had a discretion, rather than a duty, to provide her with accommodation in order to meet her care and support needs under the Care Act 2014. This is a critical issue for adults with care needs who do not otherwise have accommodation available to them, notably asylum seekers and other vulnerable migrants with significant physical and/or mental health problems. The mental health charity Mind intervened in the appeal, reflecting the importance of the issue. SG was represented by Jamie Burton and Sam Jacobs, both of Doughty Street Chambers. Disappointingly, the Court of Appeal dismissed the appeal as academic and declined to rule substantively on the issue. The Court of Appeal judgment is here. As can be seen, the Court of Appeal made clear that the High Court findings in SG (at para 53), that a local authority has discretion as to whether it decides to meet ‘accommodation-related’ needs by providing accommodation, no longer stand. A court deciding this issue in the future should do so with ‘an entirely clean sheet’ (para 29) and, until it does, the law on this important issue is unfortunately likely to remain unclear. If you are concerned or affected by this issue and would like to discuss this further you can contact Katy directly at k. Robinson@wilsonllp.co.uk. To make an appointment for a consultation with Katy or any other member of our Public Law Team contact Penny on 0208 885 7924.